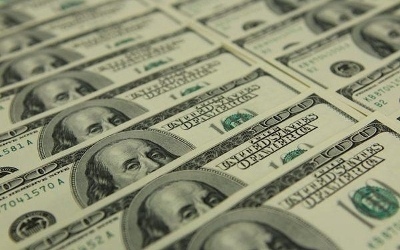 AKIPRESS.COM - People in Kazakhstan have been paid 4.5 million tenge (US$11,857.50) for reporting corruption cases since the beginning of the year, said Kazakh Agency on Civil Service Affairs and Anti-corruption Department Head of Public Relations Arman Berdalin at a recent briefing of the National Bureau of Anti-Corruption, Astana Times reports. Since January, 1.1 million tenge (US$2,898) has been paid to 20 people for reporting corruption of moderate severity and 3.4 million tenge (US$8,959) has been rewarded to 20 people for reporting corruption of grave severity. “For confirmed reports of corruption in 2018, 185 people were rewarded with 27.3 million tenge (US$71,935.50). Among these, two people were rewarded for reporting corruption of minor severity with 192,400 tenge (US$506.97), 73 people were rewarded for reporting corruption of moderate severity with 9.04 million tenge (US$23,820.40) and 106 people were rewarded for reporting corruption of grave severity with 18.1 million tenge (US$47,693.50),” said Berdalin. Those who report corruption or assist in the fight against it are exempt from criminal liability and may be incentivised with a lump-sum monetary reward. Assistance involves reporting corruption and submitting information relevant for the detection, disclosure and investigation of a corruption offense.